Roy and Marc, high school classmates, started PWC as a way to give kids of all ages, sizes and shapes an opportunity to be successful in athletics and to be able to contribute to the success of a team. Roy and Marc’s focus on self-development, respect, integrity, discipline, fair-play, and hard work was exactly the philosophy on which the cub scouts was founded and it wasn’t long before the first five cub scouts recruited another 15 – 20 to join the team. Soon, the first crop of wrestlers began to develop and dominate the league tournaments. More and more kids wanted to join and become part of the very special program at Peninsula Park. The club began to grow by leaps and bounds and by about 1976, Marc had already begun to take some the more advanced wrestlers to the basement of his home for extra, more-intensive workouts. As more and more advanced wrestlers continued to be developed at Peninsula Park, Marc’s extra practice sessions began to grow and grow and it wasn’t long before the extra practice sessions had to be moved to a bigger facility – a gym in Nelson’s Nautilus on 82nd Avenue in Portland. As not all of the advanced wrestlers could make it to Marc’s sessions, Roy had to increase the number of practices as well. 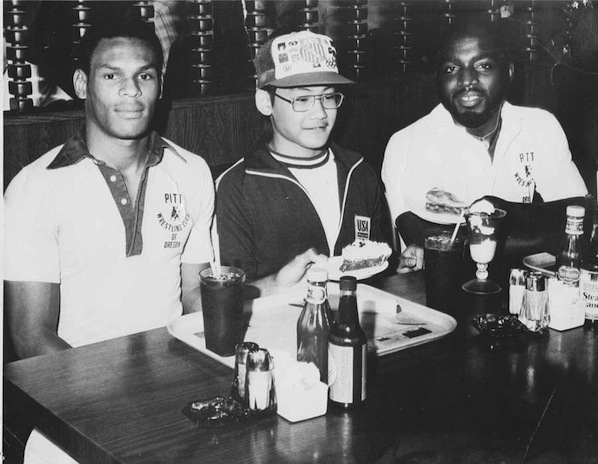 For a time, both Roy and Marc’s groups were the Peninsula Wrestling Club at the Saturday Tournaments. Marc’s passion was to coach the more elite wrestlers and Roy’s passion was to coach kids at all levels of development. As new members joined and both groups continued to grow, separate identities came into being. What many people don’t know is that to this day, Roy Pittman and Marc Sprague remain the best of friends, each committed to and supportive of each other in helping to make wrestling in Oregon the best in the nation. Whatever perceived rivalry exists between the two clubs has never existed between them. During these early days of PWS, the powerhouse team was the Columbia Boys Club, PWC, together with clubs from Scappoose, Tillamook, Gresham, Forest Grove and Silverton formed a new league with wrestling tournaments on Saturdays sanctioned by the AAU. To be the best, Marc and Roy realized they would have to outwork everyone else. Practice went from 3 days a week to 5 days a week, with extra workouts for the advanced wrestlers. Wrestling at Peninsula has always been year-round with Collegiate/Folkstyle tournaments in the fall and winter and Freestyle and Greco-Roman tournaments in the spring. The first group of PWC kids grew and became know throughout the state and nation as tough, elite wrestlers. 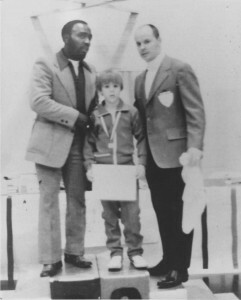 Arnie Coke was the first PWC High School State champion and was soon followed by Ron Heresky. Kids who had never before considered going to college were getting college scholarships and with the work ethic and discipline learned at PWC graduated and have gone on to lead very successful lives. During the 1980’s, kids wrestling began to change. Up until that time, AAU was in total control of the sport. The Federation began to grow in prominence. In about 1985, the AAU and Federation went to court to decide who was to be in control and the Federation won. The Federation became what we know today as USA Wrestling. With the change in control came a change in philosophy. The AAU catered to the more elite wrestlers and wrestlers from more affluent families, where fees from the younger kids were used to help the older kids. 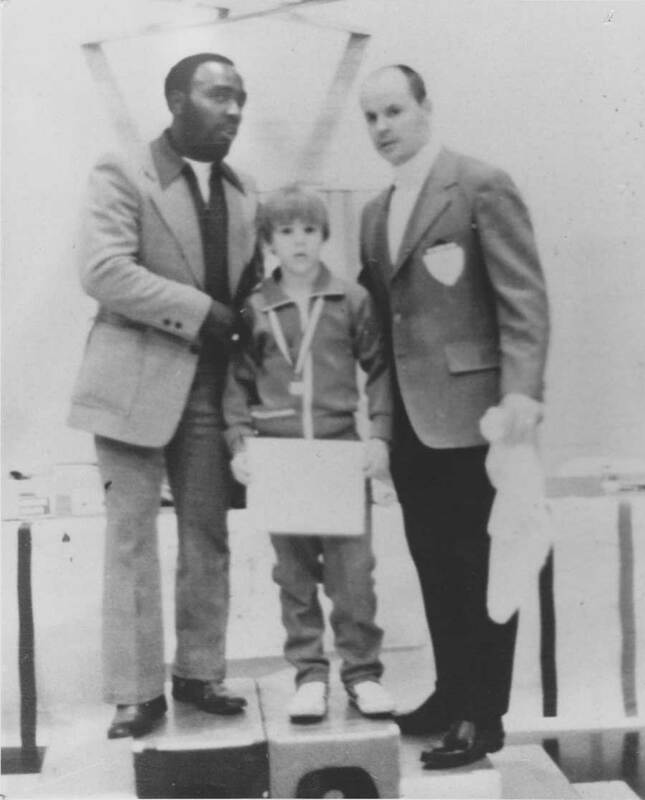 Under USA Wrestling, wrestling tournament entry fees were set at 50 cents and more attention was given to the development of younger kids and making the sport more affordable for all. Over the last few years we’ve all seen the price of tournaments continue to climb, and Roy has continued to remain committed to keeping things affordable for everyone. Over the last 30 years, PWC has produced its share of champions. Roy is as committed to the sport of wrestling and the total development of his kids as ever. His biggest successes are achieved only when he is able to form a close partnership with the wrestler’s parents. Only with the trust and respect from the parents can Roy guide a young person and develop their potential. If a parent gets too impatient in the development of their child and starts coaching themselves (or worse yet, criticizing or yelling) the psychological pressure and anxiety a child can feel about losing (or the possibility of losing) can be overwhelming and many kids will quit wrestling. Some kids come to dominance early, some later and some never at all. Not everyone will get to stand at the top of the podium, but everyone can feel the pride and respect of become the best that they can be. Roy seeks to develop champions for life, not just for one day. If you or your child is in the sport for the long haul, if you want this sense of work ethic and discipline, this sense of team and tradition, if you or your child want to be exposed to people from many races and cultures, and if you want to learn from some the nation’s premier, most experienced, and time-prove youth wrestling coaches, then PWC might just be the club for you!